Just exactly where do we find the supernatural in the contemporary world? It’s both pervasive—everywhere—and specific—a particular somewhere. Otherworldly traditions and stories still spread through oral narration. They pervade mass media and the digital world and often form the stuff of hypermodern folklore<m>the stew of folk, popular, consumer, and digital culture that constitutes much of contemporary life. People also imbue specific places—from the local haunted house or cemetery to whole towns or cities—with supernatural manifestations or significance. Putting the Supernatural in Its Place explores zombies, vampires, witches, demented nuns, mediums, and ghosts in their natural (and unnatural) habitats while making sense of the current ubiquity of the supernatural on the Internet, in the movies, in tourism, and in places like New Orleans. This unique study of how we locate the supernatural sheds light on why certain sites and their stories captivate us and shows how pondering the supernatural can bring a better understanding of the places we create and inhabit. Each chapter is authored by a noted folklorist who examines the supernatural as it appears “in place.” Among the locales are Salem, Massachusetts; Lily Dale, New York; and Internet fan sites for the Twilight movies and the TV series Buffy the Vampire Slayer. Supernatural places have the potential to alter perceptions of reality—sometimes enchanting, sometimes terrifying, and sometimes even schooling those who experience them. 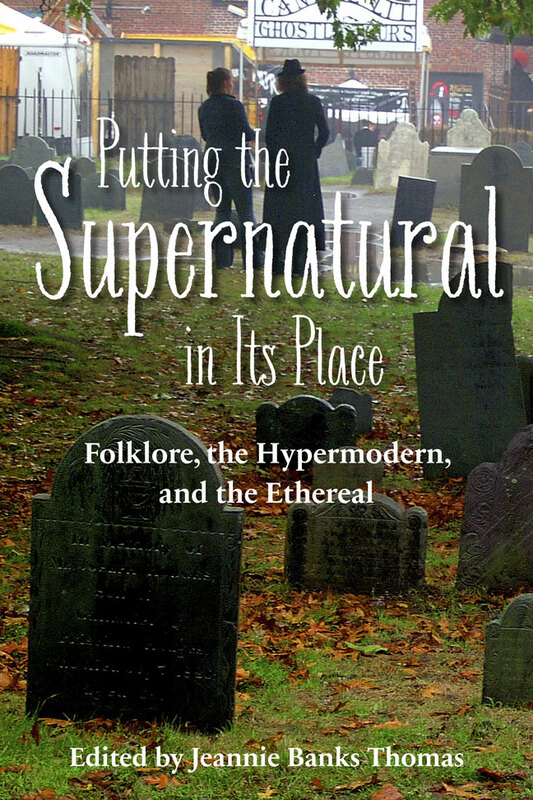 Ultimately, the authors demonstrate that, culturally speaking, the supernatural’s place is important and not trivial. Jeannie Banks Thomas is a professor at Utah State University, where she is head of the Department of English. Her many publications included Featherless Chickens, Laughing Women, and SeriousStories, which received the Elli Köngäs-Maranda Prize, and Haunting Experiences: Ghosts in Contemporary Folklore (2007), coauthored with Diane Goldstein and Sylvia Grider, which won the Brian McConnell Book Award in legend studies.